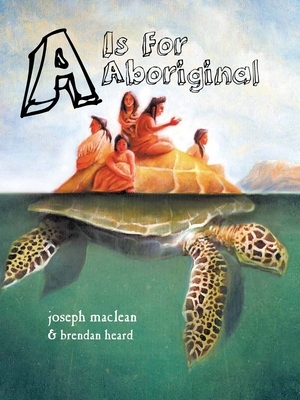 A is for Aboriginal is the first in the First Nations Reader Series. Each letter explores a name, a place or facet of Abo­riginal history and culture. The reader will discover some interesting bits of history and tradition that are not widely known. Many, for example. do not know that Thomas Jefferson and Benjamin Franklin (two of the American Founding Fathers) both attribute the Haudenosaunee (Iroquois) Confederacy, one of the world's oldest democracies, as the inspiration for the American Constitution. Or, that the origin of 'Red Indian' is not because of skin colour, but from the ochre (iron oxide) used by the now extinct Beothuk to colour their skin red. At the bottom of each letter there is a list of Indigenous peoples that begin with that letter. The idea is that the names can be recited as a sort of poem of remembrance. There is a glossary of all of the indigenous peoples named in the book. The glossary although extensive is not a definitive list of indigenous people. The main focus is on North America but there are some indigenous people listed from every continent to give a global sense of the expanse and depth of the Aboriginal story. This book celebrates Aboriginal heritage and culture. The illustration for the book title depicts the creation story that tells of the world coming into being on the back of a turtle. North America is often referred to as Turtle Island. Joseph MacLean lives in North Vancouver, British Columbia. He is an historian by education, a storyteller by avocation and a social entrepreneur by trade. Joseph took Native studies as part of an interdisciplinary program at the University of Montréal (Loyola College) where he graduated with an honours degree in history. Always interested in Aboriginal history and culture the inspiration for this first book came from working on a literacy project with the urban Aboriginal community in Vancouver. It struck the author as odd that ‘Mary had a little lamb’, ‘Twinkle, twinkle little star’ and other, almost exclusively western rhymes and children's stories predominated the literature used in the early childhood education and development programs for Native kids. And so he wrote this first reader exploring some of the less well known and illuminating facets of Aboriginal history and culture. Joseph was the co-author of "Slammin' Sammy Presents: At Bat" an award-winning animated comic book about baseball. He is the founder of nuMedia group and creator of KidzBiz.com - a social marketing portal for children and children's causes. Brendan Heard is a Canadian artist currently residing in Dublin, Ireland. He works in oil paint, watercolour, clay, and digital imaging. www.brendanheard.com.